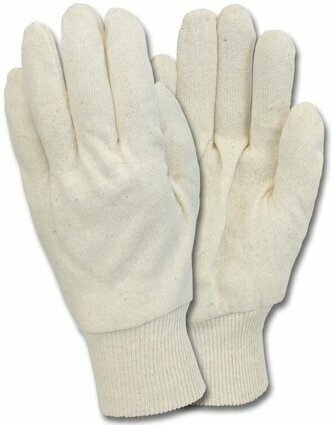 Safety Zone 7oz 100% cotton white jersey glove with knit wrist. Reversible. This chart must be printed out to use. Please use the chart below to determine your accurate glove size for Safety Zone.